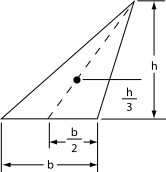 ^ Calculating the area and centroid of a polygon 互联网档案馆的存檔，存档日期2008-10-16. Encyclopedia of Triangle Centers by Clark Kimberling. 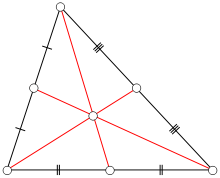 The centroid is indexed as X (2). Triangle centers by Antonio Gutierrez from Geometry Step by Step from the Land of the Incas.